Spring- und Vielseitigkeitsreiter aufgepaßt! Super sportliches Stutfohlen in Traumfarbe Buckskin zuverkaufen. 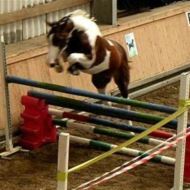 Attention jumping and eventing! 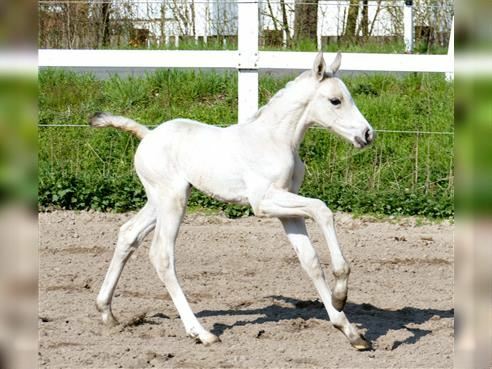 Buckskin to sell Super sporty filly in dream color. 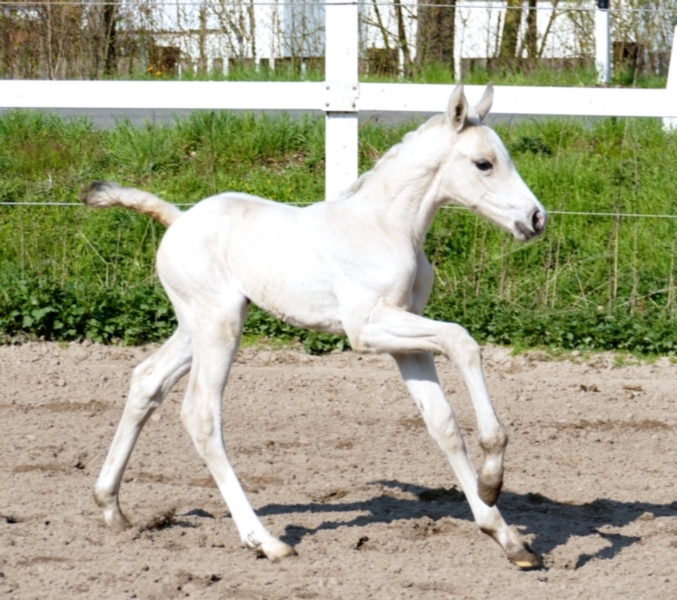 CLARISSA A - Filly of Cádiz (Cordess-Clinton x heartbreaker x Shakespeare x Potsdam NRW) from our Kinsky Mare Annabella by Mistral x Alpine Shepherd Tynsky x Quoniam II.